When I make these chicken wings, my hubby gets so excited! He can eat the entire platter himself! Seriously, what is it with guys and chicken wings? 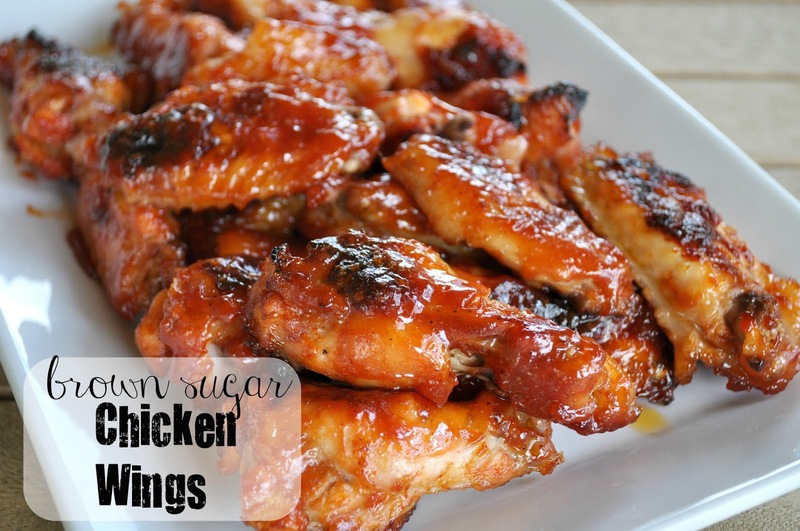 This is a favorite recipe, I love the sweet and simple barbecue sauce. In a medium bowl, whisk together ketchup, brown sugar, worcestershire sauce and vinegar; season with with salt and pepper, reserve half of the sauce in a small bowl, leave the remaining sauce in the medium sized bowl. Preheat oven 450 degrees, line a large sheet with foil for easy clean up. Toss the clean and washed chicken wings in the medium bowl with half of the sauce. Bake chicken for about 30-35 minutes. Flip all the wings over and brush with the remaining sauce. Bake for another 15-20 minutes.